I had planned to review this back in April, during my Birmingham Pride Special 2017; however, it turned out I got confused with the fact that there are two Marcus James', and this one isn't the DJ who performed at Birmingham Pride 2017. This one is someone totally different, yet he proves he is just as good and on fire with this track! This has literally been sitting in drafts for ages, so I thought I might as well write up about it. 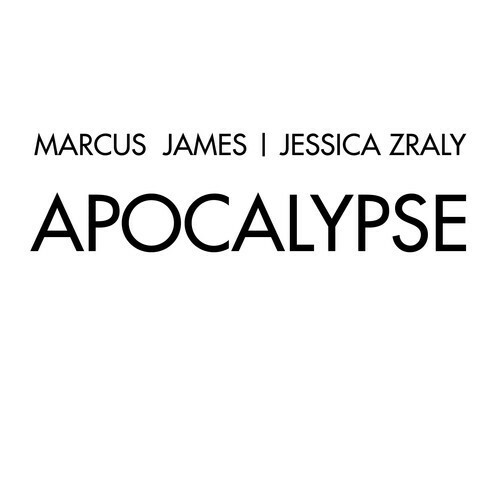 Watch Marcus James & Jessica Zraly drive to an abandoned space under a bridge, where they smash up a watermelon, spray paint, and just have fun in this music video for "Apocalypse". 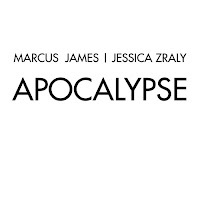 Marcus James, full name Marcus Jame Berelowitz, is a DJ from Vancouver, Canada. He has released a number of singles and has collaborated with Jessica Zraly a number of times. He's quickly becoming someone to watch, especially since one of his tracks, "Dancer" feat. Lord L, has had over 34,000 plays on SoundCloud. This track is available as a free download and it sure is addicting in every way. It's a collaboration with Jessica Zraly who has gone on to become an Instagram cover singer with the number of followers climbing on her profile. She's beautiful and has a killer voice, it's not surprising that she's gained traction on YouTube and now Instagram. I expect her to never give up on making singing her career and doing so will surely allow her to make her dream a reality. The song was later followed up with an official release, titled "Turn Off The Lights", which sees both artists collaborate together again. Directed by Suave Papi, there isn't really a lot for me to comment on when it comes to this music video. We watch the artists perform the song whilst having a fun time together. It's actually nice to see Marcus James in this music video since most DJs decide not to appear in visuals. The performance piece is on point, Jessica Zraly sure knows how to perform. Not only is she stunning in her style and presence but her vocal ability is outstanding. She really allows this track to come alive with her vocals, and she sure captures the attention of every viewer, creating vibes we're all enjoying - she'd be amazing to see live on a stage. As for the fun scenes, we watch them smash up watermelons with hammers, spray paint the title of the song on a tunnel wall, they also shake up champagne (or it could be prosecco) until the cork pops. They clearly had a brilliant time making this video and being together for this experience. Then we have the night scenes where they let off fireworks and sparklers. It's all pretty cute, laid-back and simple. There's a lot of fun involved and you can't help but enjoy watching. On the other hand, there's not a lot to keep the viewers entertained, nothing progressive and nothing that keeps us watching until the very end.